A sorry e-greeting card to share with your love. Not all times our expectations become true in love. There are times when we need to ask apology and be sorry for your love. Share this ecard to ask your apology to your love. The card shows the message "Love is not my type. 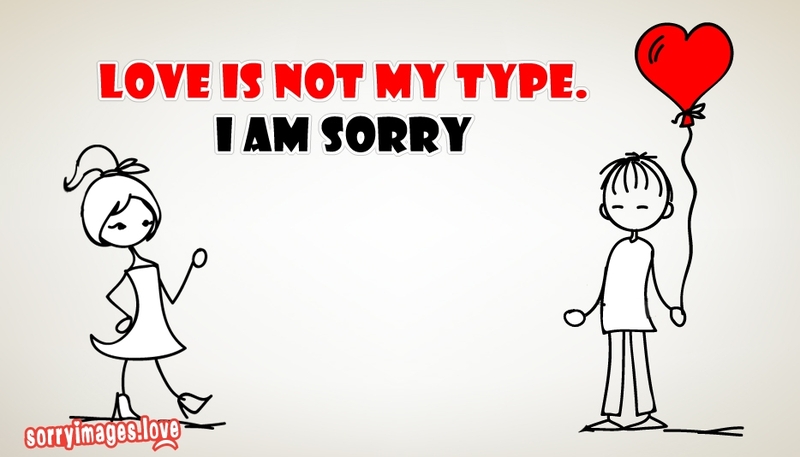 I am Sorry", meaning that you are not upto the expectation of your love.